Administrators at one Utah school district are investigating a disturbing video that appears to show a group of cheerleaders shouting vicious racial slurs. 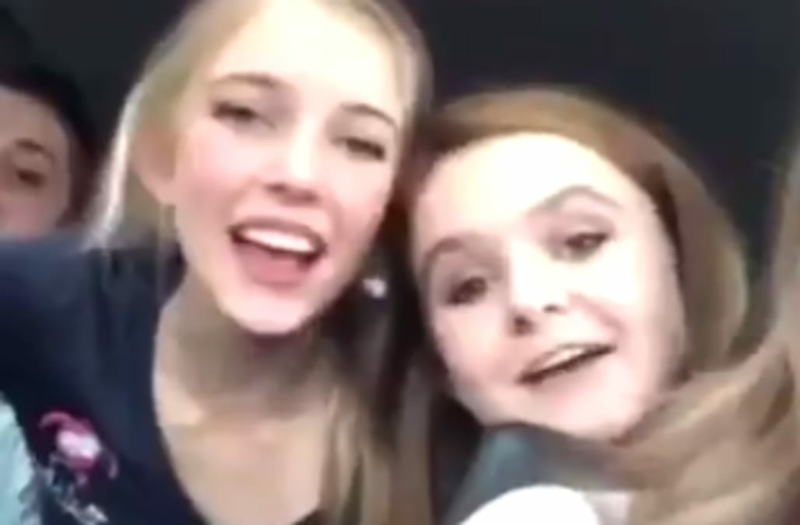 The 10-second recording, which was posted to Instagram, features a group of teenage girls who individually and as a group repeatedly yell “f**k n*****s” while laughing. School officials first became aware of the footage on Monday after it began making rounds on social media. While they confirmed three of the girls in the video are cheerleaders, there is no indication the footage was filmed during extra-curricular activities. The IT department has been instructed to look into whether the clip was created with a video-editing app capable of generating the offensive phrase. “The video was then possibly uploaded into an app that plays it backwards, producing an entirely different-sounding phrase. In this case, a very derogatory, offensive racial slur,” the district explained, adding that the girls may have actually been saying the phrase “surgeon cuff” and playing it backwards. Other students were quick to point out that, forwards or backwards, the intent was the same.